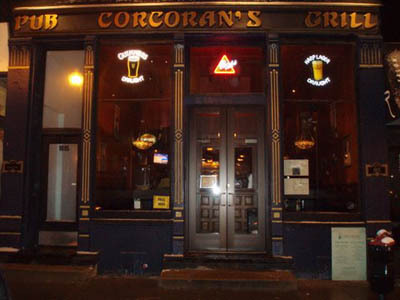 CORCORAN'S GRILL has been going strong for many decades now, having been owned by the same family for the past thirty years. If you've been searching for a great Irish pub atmosphere, look no further. The decor incorporates lots of wood and dark colors to make it feel even more authentic. The beer selection is great and it's always ice cold. Definitely make it a point to stop in for their weekend brunch from 10:30 AM to 3:00 PM on Saturdays and Sundays! If you're going to Second City, Corcoran's is the obvious choice for an after-show drink or for dinner.